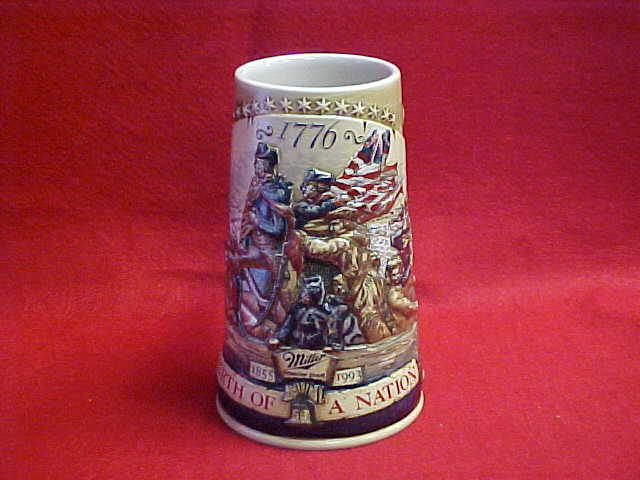 These our a few items we have for sale. 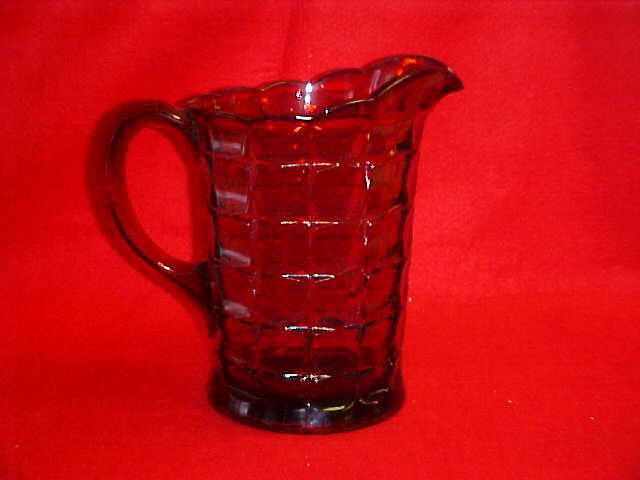 If you see something you like, you can email us at eternity@michiganx.net , or give us a call at (989)-362-2298. 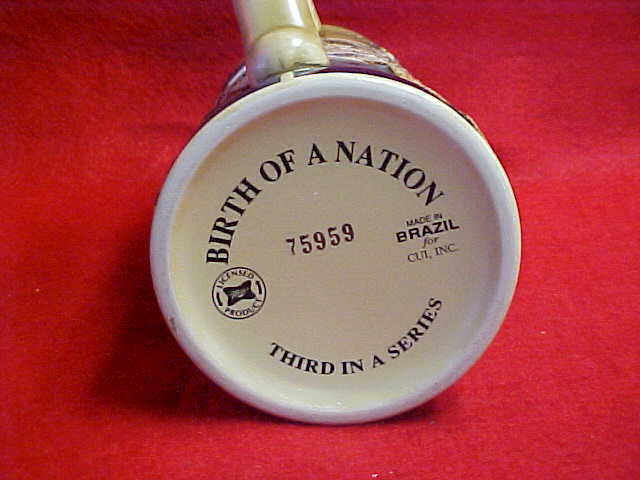 We accept Cashier checks and Money Orders. 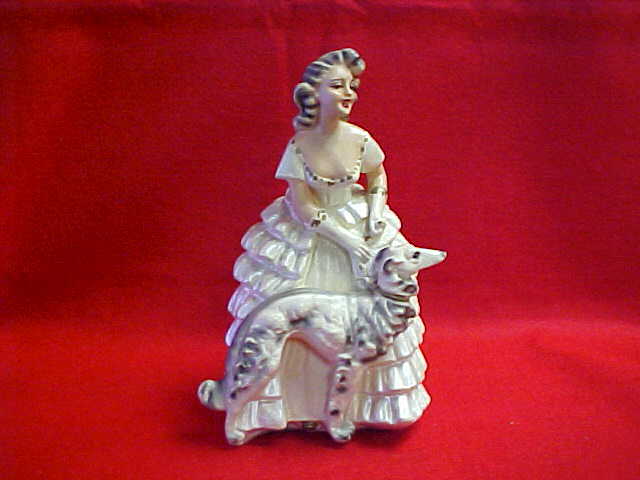 Item Thirteen: Chalk Figurine-Girl with Wolf Hound. 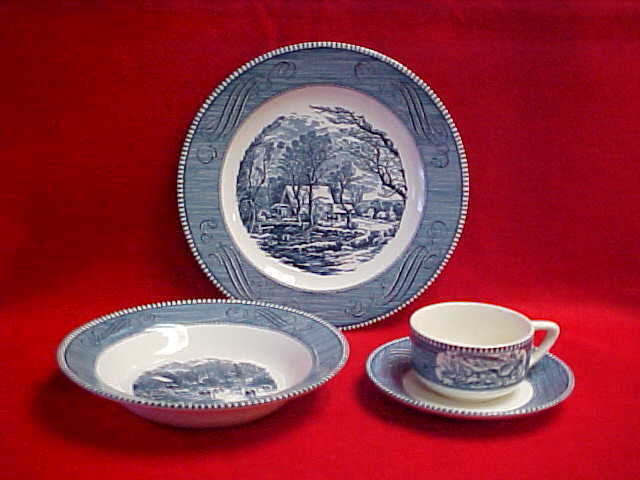 Item Fourteen: Currier & Ives Dinnerware By Royal. 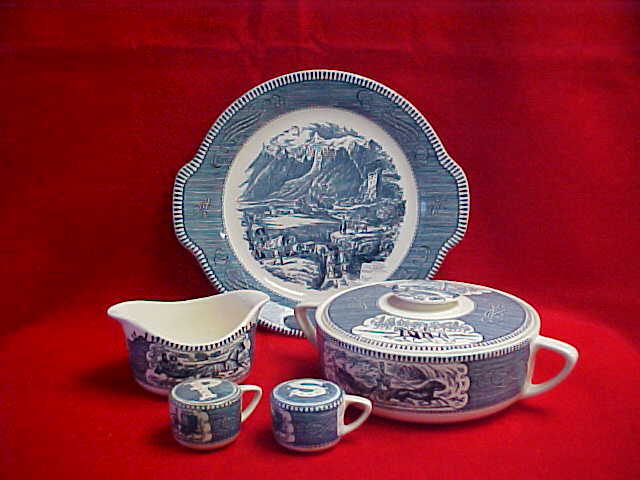 Set of 8. 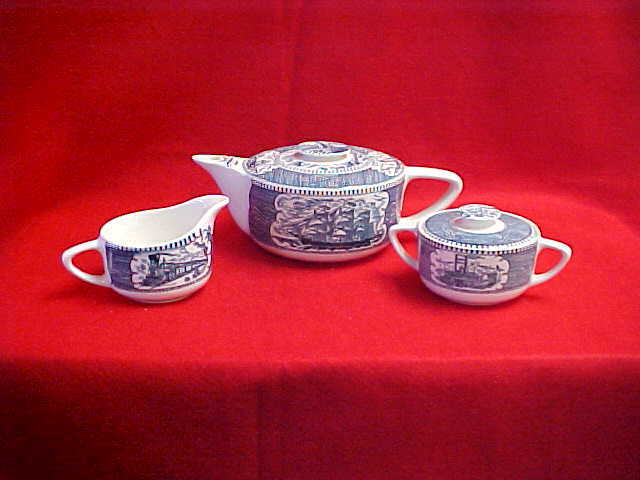 Blue/White with Soup Bowls, Platter, Cream & Sugar, and Gravy Boat. 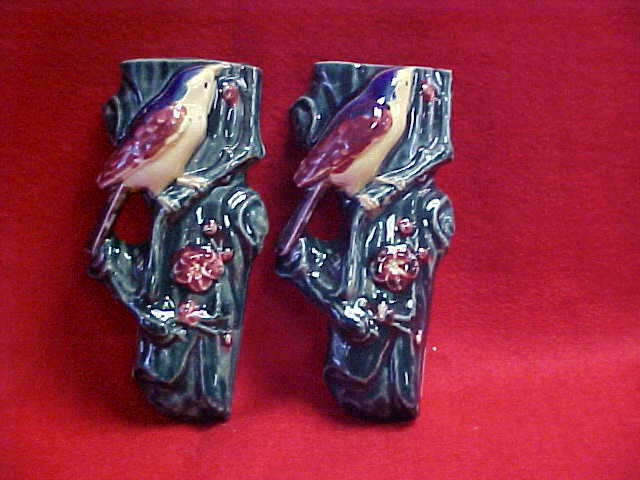 Item Fifteen: Wall Pockets-Bird on Tree Branch (Japan). 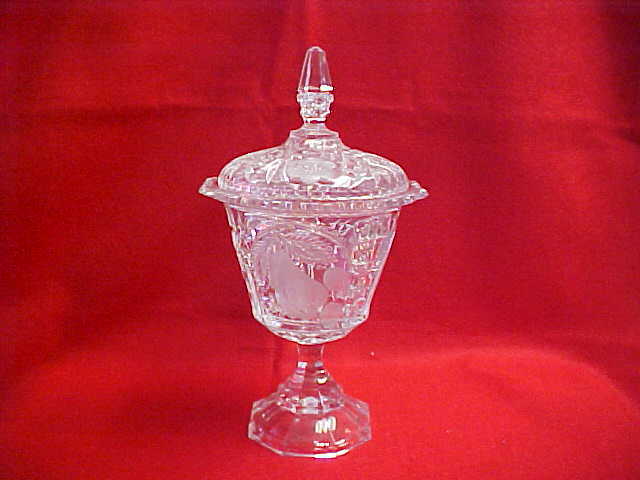 Item Seventeen: Crystal Candy Dish - Large with Lid. 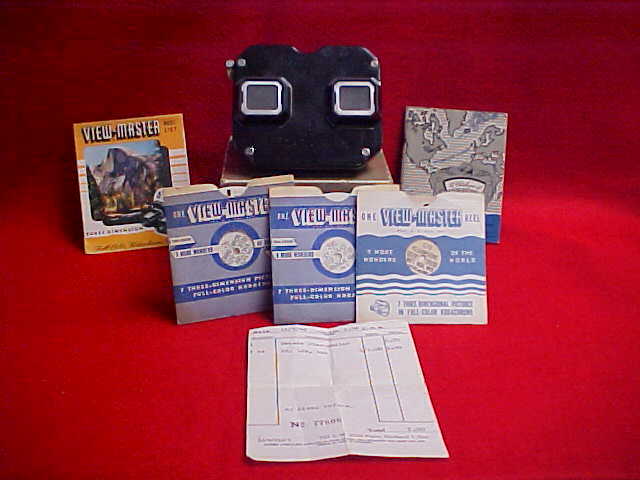 Item Nineteen: View Master with 3 Reels - Original Box, Instructions and Sales Receipt Dated Dec. 7, 1946. 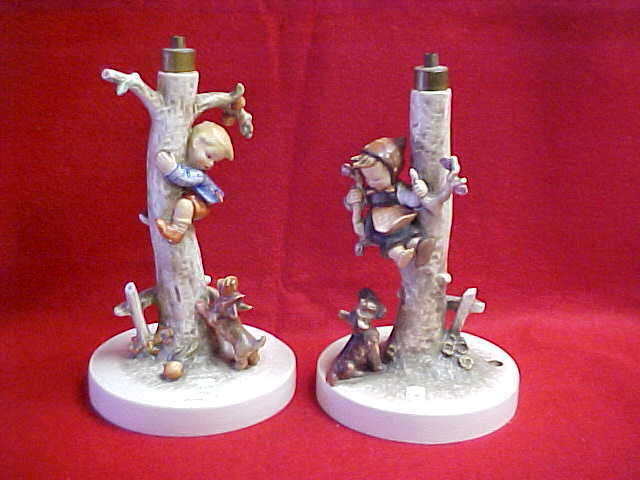 Item Twenty One: Hummel Lamp Base (Pair) - "Culprit"
Item Twenty Three: Amberina Pitcher. 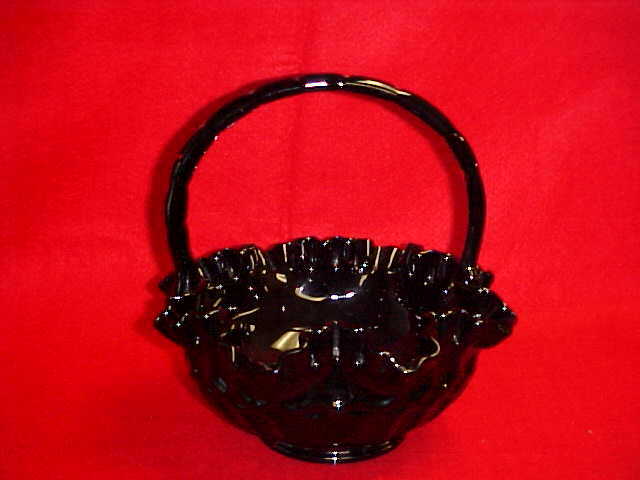 Item Twenty: Fenton Basket (Paper Label Gone) - Thumbprint Black.